Driving in Italy can certainly be an adventure. Everyone knows the old stereotype of a typical Italian driver – fast, aggressive and breaking the rules left and right…. Well folks, it’s all true! 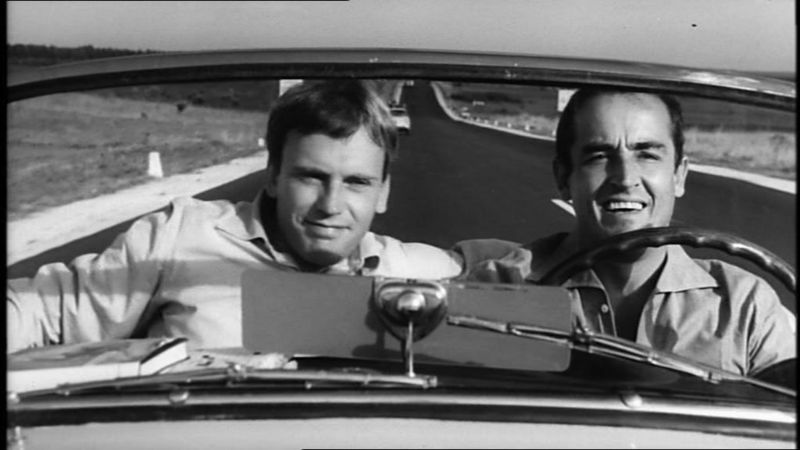 Italian drivers are aggressive and almost entirely disinterested in the driving regulations. But they are also – don’t laugh – extremely competent drivers. 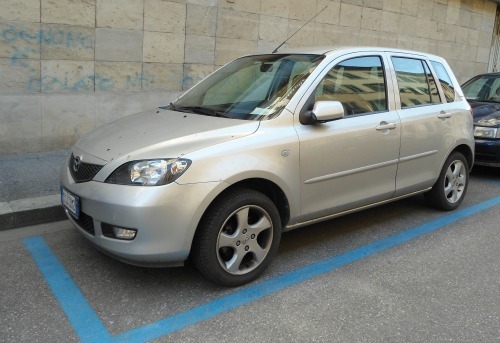 Driving in Italy is a sort of art form – you’d be surprised how creative a person can get behind the wheel! But Italians know and love cars and they are usually very in control of the situation, even when they’re zigzagging from lane to lane or tailgating at 70 mph on the highway (two totally normal ways of behaving when driving in Italy!). The best piece of advice I can give you if you’re going to drive in Italy is this: stick to the rules and just ignore any car that is getting annoyed with you for any reason (probably because you are following the regulations!). Read the basics for driving in Italy below. There are speed cameras on highways and state roads and the rule enforcement is very strict. Often cameras are placed at exit ramps where people are coming off the highway so they haven’t fully slowed down yet, even though the speed limit on the ramp may be 5o km/h! Watch out for these speed traps! 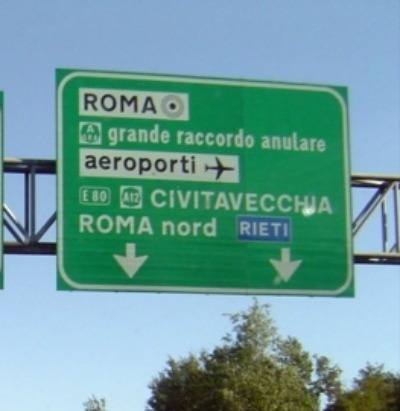 There are two types of main roads – the ‘Autostrada’ (motorway) and the ‘Superstrada’ (state roads). 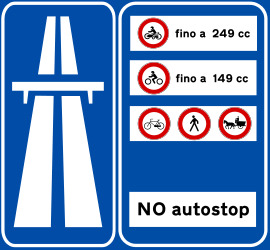 Autostrada are toll roads and are indicated by green signs (below left). 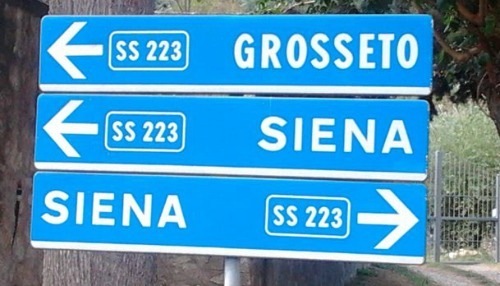 Superstrada are free roads and are indicated by blue signs (below right) and a name starting with ‘SS’. All autostrada have service stations and rest stop areas but Superstrada do not, so gas up and use toilets before you hit the road. Whether the highway or motorway has two or three lanes (two is more common), the left lane is NOT for just driving along but is only for passing. When passing, it’s customary to put your left indicator light on and keep it blinking until you’re done passing the car on your right. You then pull back into the right lane and turn it off. If the car behind you flashes its brights at you, it means either you’re going too slow and/or you’re in the wrong lane. This usually happens as a car is speeding dangerously fast right towards the back of your car on the highway, with no intention whatsoever of slowing down. Don’t play games along the lines of, ‘Well, I’m within the speed limit, so I’m just going to stay put! Nobody can tell me how fast to drive!’. When you get to the toll area, go to pay in the lane where the sign has a money symbol. ‘Telepass’ is the Italian equivalent of a ‘fast-pay’ automatic payment system so skip that lane entirely. ‘Viacard’ lanes are for special toll cards, BUT they also accept credit cards so this is a fast way to pay if cash lane lines are long and is a good option too. In the picture below, from left to right you can see 2 cash lanes, 2 card lanes and 2 fast pay lanes. Any women who will be driving in Italy should know that truck drivers like to entertain themselves by honking and flashing their bright-lights at women drivers. You should know this ahead of time because you might think that it’s just a good Samaritan trying to warn you about an oil leak or something – don’t let them distract you! Of course you should just ignore them. Cars driving in Italy often go up one-way roads, but in the wrong direction. If, in order to get somewhere, you have to take a roundabout route and there’s a one-way street that will get you there faster, Italians go for this option. This is especially true for scooters, motorcycles and bicycles! So watch out for vehicles coming from where they're not supposed to. For parking in towns you’ll see parking spots outlined in blue lines and white lines. Blue lines are where you want to park. These spots are pay parking from 8 am to 8 pm except Sundays and holidays when they’re free. White lines are for residents only so if you park there you risk a fine. Insider Tip! 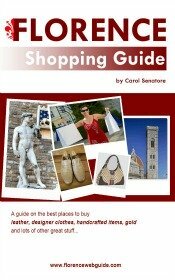 In tourist towns (like Florence!) watch out for phony parking attendants. They usually hang out in large parking lots. It's best to just use the ticket machine which issues a slip of paper to display in the windshield. Authorized attendants, on the other hand, will have an ID card and you should be able to recognize the difference. Most urban centers have limited access to cars. If you have any doubt about whether you are allowed to drive into a historic area it’s better not to risk as fines are steep. 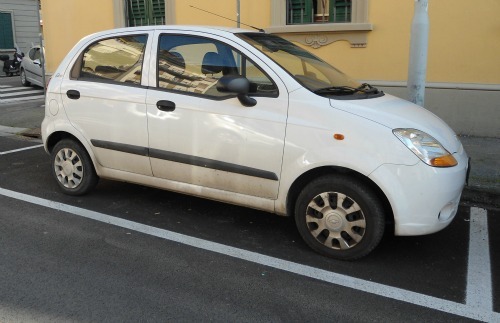 A general rule for driving in Italy is to leave your car outside the main city area in safe parking lots. In most of the civilized world pedestrians have the right of way at zebra crossings and cars stop when they see you trying to cross. In Italy, pedestrian crossings are merely ‘suggestions’. More often than not, cars don’t stop. Some – believe me - even honk at you to get out of their way! So be careful, don’t assume that cars are going to stop when you step on the stripes. Thank goodness sat nav was invented! Signs can be utterly confusing in Italy and sometimes there just aren’t any at all. If you rent a car, take my advice and get a sat nav with it – you’ll save a lot of ‘getting lost’ time for sure. Italian drinking limits are pretty much in line with European regulations which are quite strict. Driving is not permitted with a blood alcohol content superior to 0.5 grammes per litre (if that sounds too technical, basically it’s a very small amount of alcohol!). At many locales you can get a breathalyzer if you have any doubts. 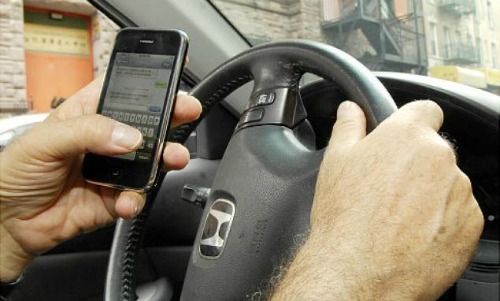 Fines are very high and you even risk having your license suspended.